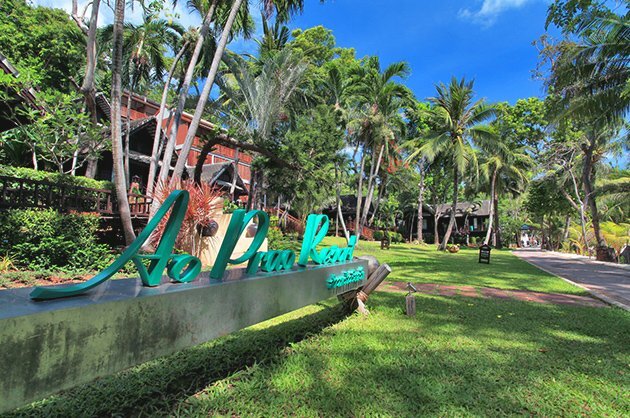 Koh Samet is an unspoiled tropical island in the Gulf of Thailand, located just a 3 hour drive from Bangkok and accessible by Shuttle Boat from Seree Ban Phe pier in Rayong Province. A true vision of paradise, the island is blissfully under developed and has a thick jungle interior emerging on to peaceful bays, hidden coves and sweeping stretches of pristine white sand beaches. The aquamarine waters of the Samet archipelago are ideal for swimming, snorkeling and sailing and as part of the Khao Laem Ya – Mu Ko Samet National Park, offer breathtaking natural backdrops and year round tropical climate. 30sqm Each of our 30 Deluxe Hillside Rooms are hidden away in an elevated hillside jungle setting, accessible via wooden stairways. A private terrace has table and chairs offering relaxing views over the tropical gardens, while the interiors have a rich blend of warm colours and high quality wooden furnishings to ensure a peaceful getaway. 33sqm The 8 Deluxe Cottages have a traditional Thai inspired design with covered private patio area to enjoy the peaceful setting. Located near to resort amenities, each individual cottage offers a relaxed ambiance with high vaulted ceilings for a sense of space and tasteful furnishings blended with soft colours and natural materials. 35sqm For an authentic Thailand beach escape, indulge yourself in one of our 4 Beach Front Cottages, situated just a few steps from a quiet stretch of the beach. Each cottage features a spacious bedroom with stylish contemporary furnishings, a comfortable seating area, en suite bathroom with separate revitalising rain shower and a private terrace offering stunning ocean views and relaxed outdoor living. 73sqm The spacious and lavishly appointed Horizon Suite offers comfort and elegance in equal measures. The generous living and bedroom space has a luxurious Four Poster King Sized bed and plush, comfortable seating area, while the en suite bathroom features an indulgent walk-in plunge bath tub for a revitalising bathing experience. With a spacious private balcony to enjoy the tropical paradise surroundings, this is an idyllic retreat to restore your sense of balance and well being. Contact us for best rates.